Paperself 'is a London based brand, and the innovator of the world's leading wearable paper lashes'. 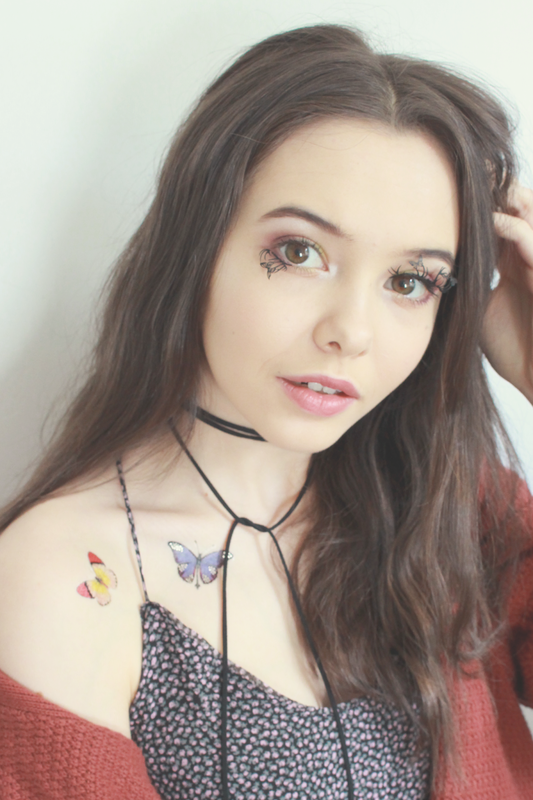 When these came through my post I was so excited to try them out so I did a review and took some photo's of me wearing them - I am obsessed! 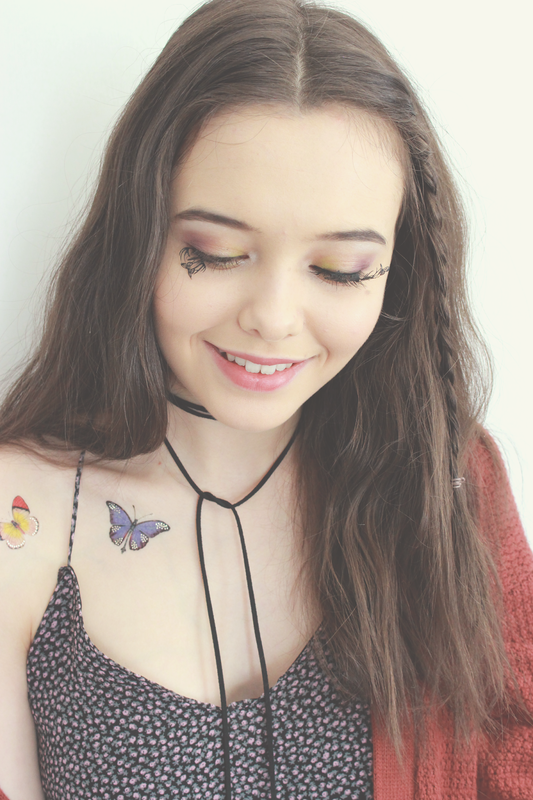 I created a smokey eye using purple, orange and yellow to match my Butterfly temporary tattoo's. 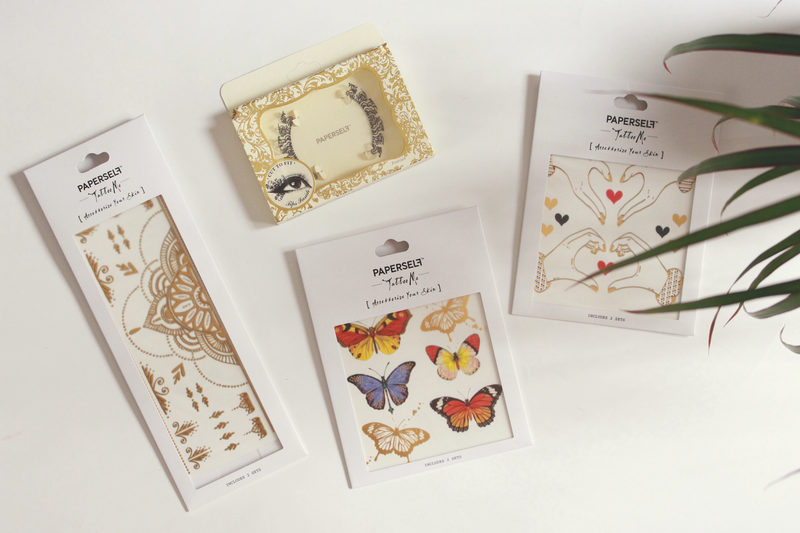 These are also from Paperself, they sell a wide range of tattoo's that are beautiful! I am a really indecisive person and couldn't commit to a real tattoo so I think these ones are perfect, I still have mine on now after 3 day's they have not budged! If I was to go to a festival I would 100% cover myself in different tattoo's, they are also great for photoshoots! In the packet, you get two sets of the tattoo's which is handy if you want to get more than one use out of them. Paperself states that they are 'non-toxic' and 'waterproof' which I can agree with as they haven't irritated my skin and still on after having a wash! 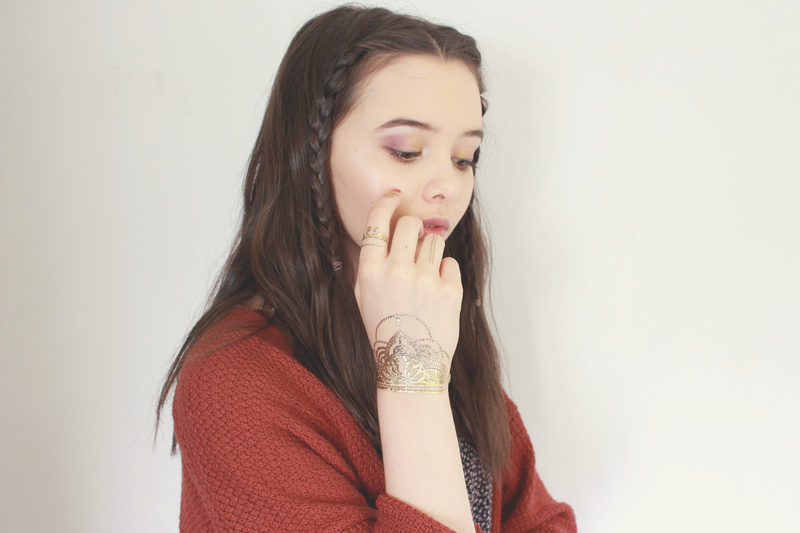 I also put the Gold Henna tattoo on my hand, it looks like I have jewellery on, I can't stop looking at it! I found that the tattoo's I applied on my knuckles lasted two days before coming off but that makes sense as you wash you hands more frequently. The pattern on my wrist is still going strong though after three days! I am not the best person when it comes to applying false lashes, I usually need help but seeing as I was alone I had no other option but to try it myself, so I am sorry if they're are not applied perfectly but I still think they look great. I had to be extra delicate when handling these lashes as they are made out of paper, you have to curve them yourself to fit your eye shape which can be a bit fiddly but if I can do it, then anyone can do it. As I said before, I am not the best at applying lashes so I was shocked that I could do it. You can cut them in to different sizes to create different looks. 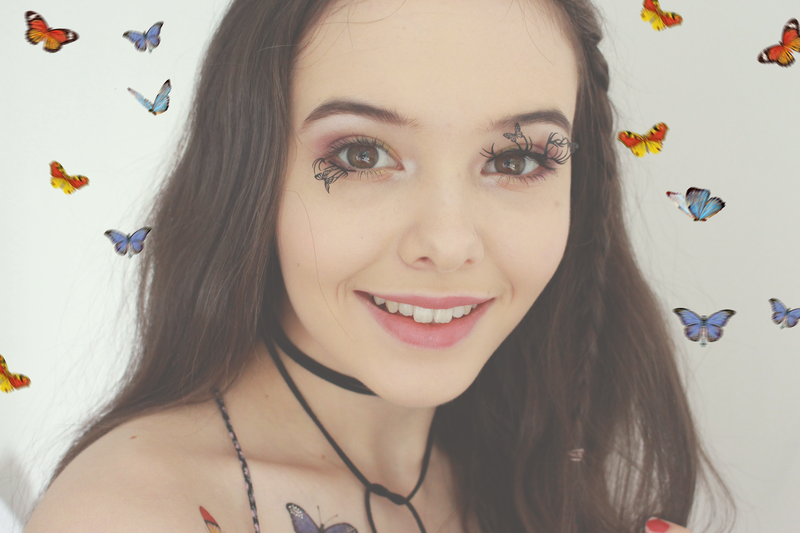 I saw a photo where someone had put a smaller piece on their bottom lashes so I had to copy it because I thought it looked pretty! 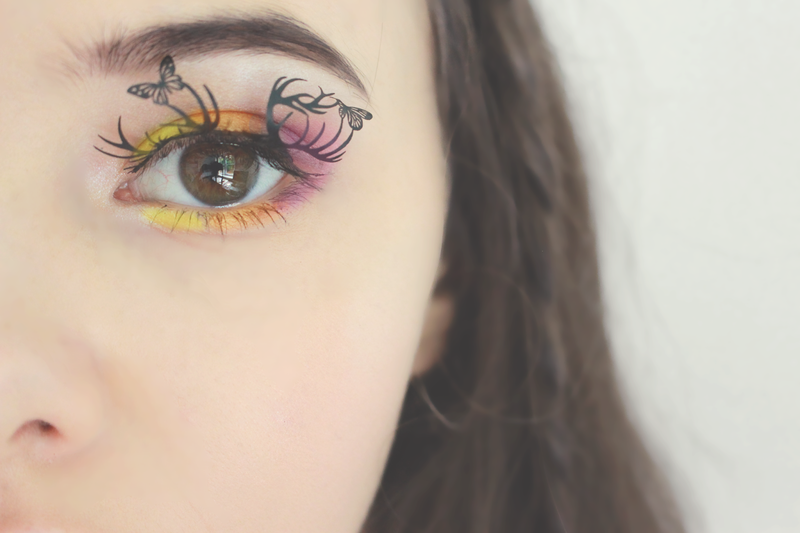 Overall, I absolutely love both the lashes and tattoo's. They are a lot more interesting than the usual lashes. I think they would be perfect for festivals or parties. Or if you are a photographer, they would be great for photoshoots. They have so many different designs that are aesthetically pleasing, you can see them on their website here. Awww, they're so dainty and gorgeous!